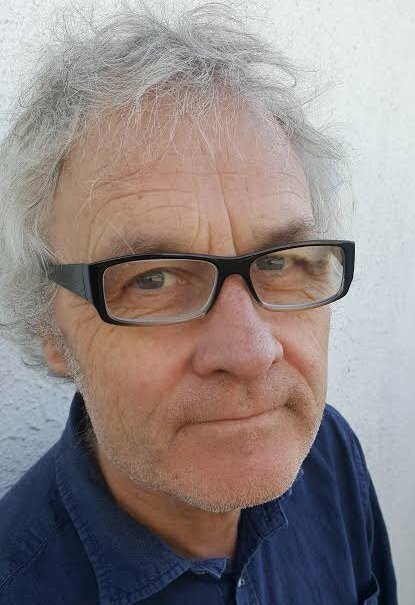 Patrick Kehoe, poet and arts journalist, answers 7 Questions on Poetry. His most recent collections of poems are Places to Sleep (Salmon Poetry, 2018) and The Cask of Moonlight (Dedalus Press, 2014). Do you remember How, or When, or even Why you started writing poems (as opposed to songs, say, or fiction)? I recall writing poems that were like company or friends to me, at St Peter’s College around 1972 in a blue notebook. I recall pleasure in particular from a poem I wrote about the evening sky changing in the month of October outside the study room windows into night. A great passage through dusk, twilight. The poem was, I could see, close in its imagery to what I wanted, which engendered a peculiar satisfaction. Such versifying was predicated on the fact that I was conscious of being in boarding school for a five-year sentence and that my freedom was compromised. The view from the study room window was akin to Oscar Wilde’s ‘tent of blue’ as seen from the confines of Reading Gaol. Five years is a huge block of time in the middle of your early adolescence. It was not relevant that you got home for holidays, you could not be philosophical about time passing quickly, as one ruefully is when one is much older. So poetry was an imaginative liberation. It is strange that when you endure – or enjoy, as I sometimes did – those days, that one day they will seem so long ago, so much an afterthought. Rather than doing my study, I loved watching the light fade and the way bits of cloud turned red and then lost the red, or yellow faded somewhere else. I put these visual elements into a poem called ‘Seasons at Saint Peters’ in my book The Cask of Moonlight. Do you have a favourite poet, or even a favourite poem? A poem you think everyone should read, even know by heart? I recall in 1973/1974 my friend Eamonn Wall had a few of those Modern European Poets selections from Penguin which I wish they would reissue in exactly the same livery now 40 years on. Jiménez shared a volume with Machado, there was a selection of Mallarmé. I have only two or three of such volumes but I am very fond of the first half of my Selected Eugenio Montale, the earlier poems, from Ossi di Seppia (Bones of the Cuttlefish) and other early to mid-period work. It’s a peuce-covered slim volume purchased in Copenhagen in 1977. In general, would you say that you write to expand on an image or idea or to compress and focus it? How much do you edit? How much do you know where you’re going and how much do you blindly feel your way? It’s like a sprint to the finish and I know it will be a short sprint, i.e. a short poem, so there is no real pressure. Once done and let rest for a day or so, I realise I must go back to the start again and forget the sprinting. Rather, crawl on my hands and feet around the words as though they were obstacles, but also turnstiles letting me in when I select the right one. What’s your relationship with ‘received forms’ (the sonnet, ballad, villanelle etc)? Are there other non-traditional form restrictions you place on your work? All I know is my apprenticeship as a songwriter served me usefully for writing poems that generally try to sing in free verse. Reading some of my poems back, I note only odd corners and bits of them seem to sing, other parts are avowedly technical, as it were. Yet I suppose the pieces seem to fit in the end, the unmusical usages and the musical, it’s an oddly functioning alloy. Have you ever been a part of a writing workshop and, if so, what do you think you gained from it. If not, is there any reason why not? I went to a songwriting workshop once that Sonny Condell gave in Dun Laoghaire and cannot recall much, bar his explanation of how putting his guitar into different tunings prompted new songs. John Martyn used to avoid standard tuning and it yielded similar results. I do not know how that applies to poetry, I think it doesn’t for myself, but it may be a paradigm for someone who experiments with different metrical forms. As to any kind of workshop, I am sure they have proved very valuable to many a writer. The best workshop though might be the talented English teacher. A great deal of your poetry is concerned with / based in, Barcelona in the 1970s. Is there something about that place and period that has a special ‘hold’ on you? Is the distance from it (in time and space) a help or a hindrance? Is the distance from Barcelona a help or a hindrance? I love that question, it is a fundamental question with regard to poetry which involves any decent poet’s recall of childhood or youth. The distance is almost axiomatic, if that is the phrase, to the writing and the imaginative invention, so I suppose distance helps. Then again, I return to Barcelona every few years or so and it is like hauling in another net of fresh fish and the poems then don’t need to refer to some notional long ago at all. In my most recent book, Places to Sleep there is a poem called ‘Sant Martí’. Three years ago or so, on a short break in the city, I could walk around the district of that name, unfamiliar to me, around noon, say. I made the streets my own in writing by what I think is a reasonably commendable attempt to describe the colour of the light in March as it fell on those nondescript pale walls in a district, some distance away from the tourist end. The hotel was there, hence the poem, a pleasing serendipity to me. I find new inspirations each time. The hold is very peculiar to me, and yet I only lived there for two years. There was a definable trajectory though and it is important that I do not spell it out. There is in fact already sufficient narrative in quite a few poems. That trajectory began with trying to carve out a living in a city where you could not ask people a question about directions in English on the street, or ask for a meal in English in a restaurant. You had no choice but to take on the mask that speaking a foreign language involves. The mask makes you a different entity and I hope somehow that it is part of whatever I do in verse. Do you remember the first poem you wrote or what prompted it? The first poem I remember writing was in my early teens about the wildflowers that grew around my house and a want to be like the wildflowers. I then lost myself for a few years writing terrible ‘woe-is-me’ Smashing Pumpkins-inspired lyrics. Lal! How do you get started on a new poem? Is it a conscious effort or something you find yourself doing without plan or premeditation? I usually start from an idea or an image or an impression or sometimes the skeleton of a poem jotted down in a notebook (or on my phone if I’m feeling self-conscious about whipping out a notebook in public). The poem will develop (or go nowhere) from these and usually for me takes about 3-4 dedicated sittings to get it going. So, for me, it is quite premeditated in that when work and life commitments are dealt with first, then I set my dedicated time to write, read, think, explore, develop, finish maybe 2-3 evenings a week, a weekend here or there, if I’m lucky. At the moment, routine is a bit wayward, but I know I’ll find it again. I adore being on buses or planes or trains because it is always a time I can give myself to develop work further – and let the mind wander. How important is music / the sound of the poem to you? Does it play any part in your writing process? For me, music is a huge influence and the sound of a poem is very important. If I’m stuck in a line for the words I haven’t found yet, I’ll mark out the syllables I want, the rhythm I’m hoping for, and make a note of the tone I’m trying to find or leave a note to myself to listen to a certain song or read a certain poem for its musicality so when I come back to it I hope I have a better ear tuned in towards what I’m working towards. I have a clutch of trusted readers I share new work with and vice versa. They give constructive criticism that is usually spot on! How important to you is taking part in poetry readings and other ‘live’ events? 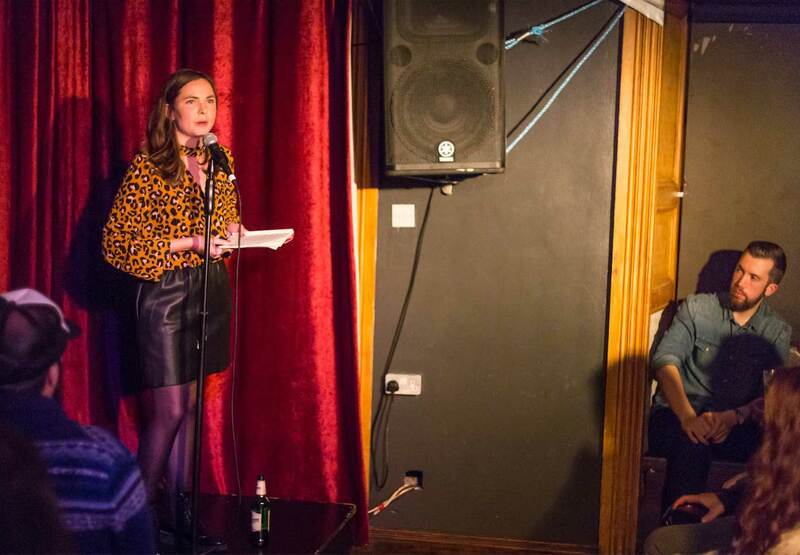 It’s important to take part I feel, and despite myself—the stage fright I have gotten to a much better place with—I am determined to enjoy them, and I do enjoy sharing poems with people, and I do get a rush of adrenalin the more I get past myself. I love going to readings and hearing writers, artists, musicians, scientists, historians etc. read and discuss their work or the work of others. Do you have favourite poets or favourite poems? What would you say your immediate friends/family thinks of you as a writer of poetry? Hmmm I’m not too sure but I’d say, in my humble opinion,… Overall, they’re usually pretty sound about it! Some care, some don’t care which is cool with me. Some think it’s interesting and others a bit daft; some delighted to let me get on with it. Some find it wildly mysterious and ask lots of questions which I don’t mind answering at all. Nothing is too silly to ask. Some want to read more poetry but don’t know ‘how to read poetry’ (even though we’re all experts in words in some way or another) so I might send on poems by other poets I think they might enjoy.